A food tour is the best way to truly get to know a country or a region. Food tells a lot about local geography, heritage, and culture. Food brings people together and what better way to meet new people or connect with friends than sharing a good meal. A few weeks ago I had the chance to do this in my home city Athens. Me and my friends from Travel Bloggers Greece were invited by a food tour company called Athens Food on Foot. 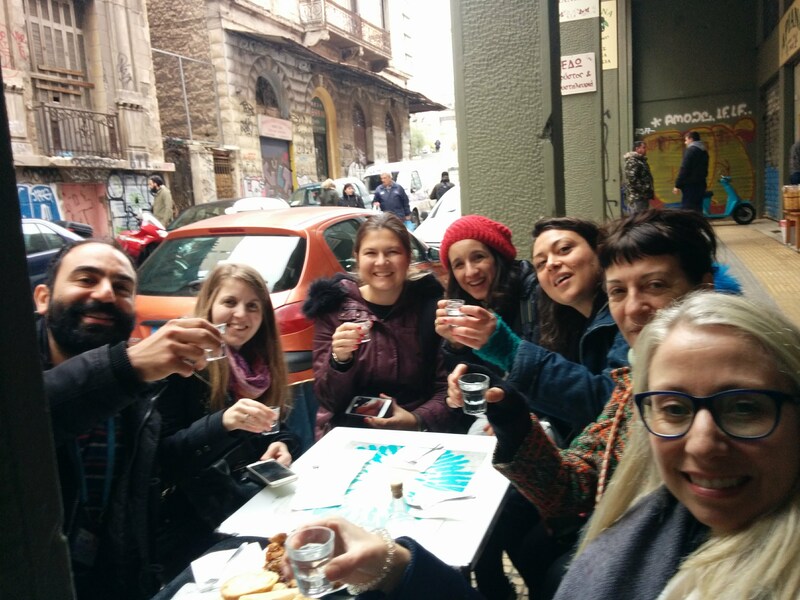 Food tour company Athens Food on Foot offers eight interesting and original food tours around Athens. Me and my Travel Bloggers Greece friends took the four-hour long ‘Ultimate Food Tour’. 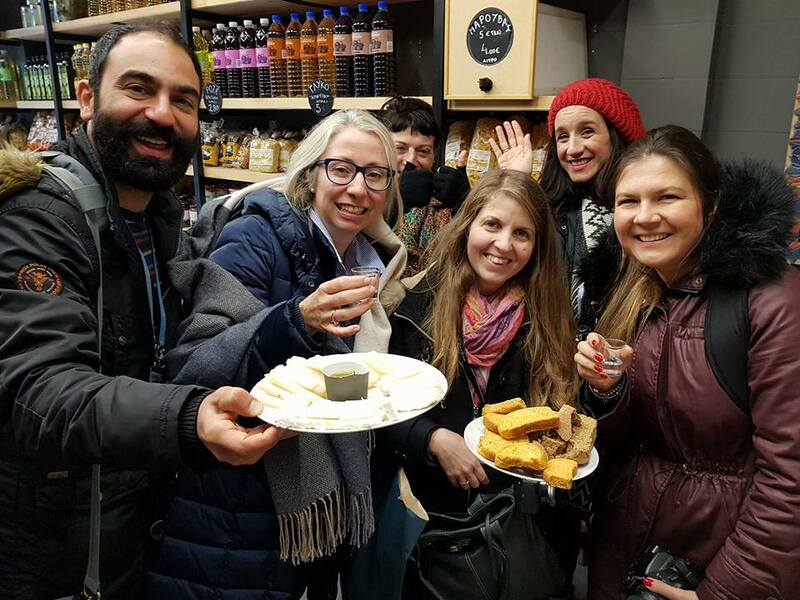 This signature Ultimate Food Tour takes its guests through the historical city center of Athens and features more than ten stops to taste authentic Greek culinary treasures. 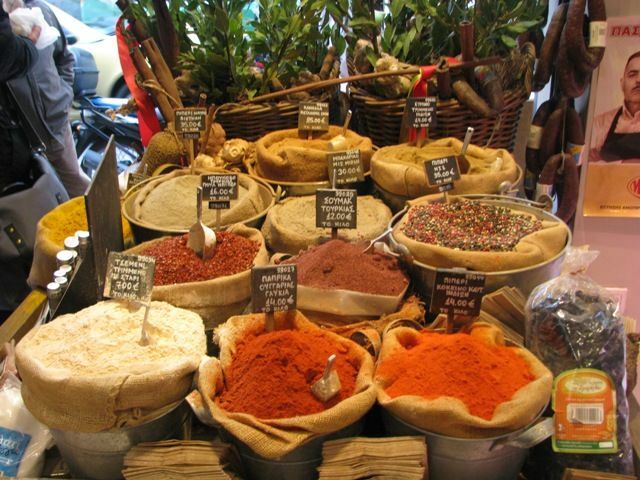 This food tour is suitable for food lovers and history dwellers interested in the traditional Greek cuisine. 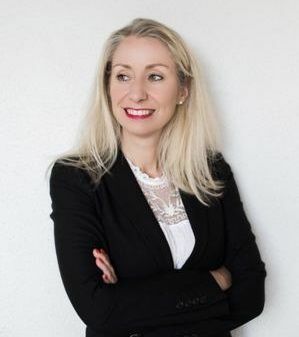 Deze blog post is ook in het Nederlands beschikbaar. 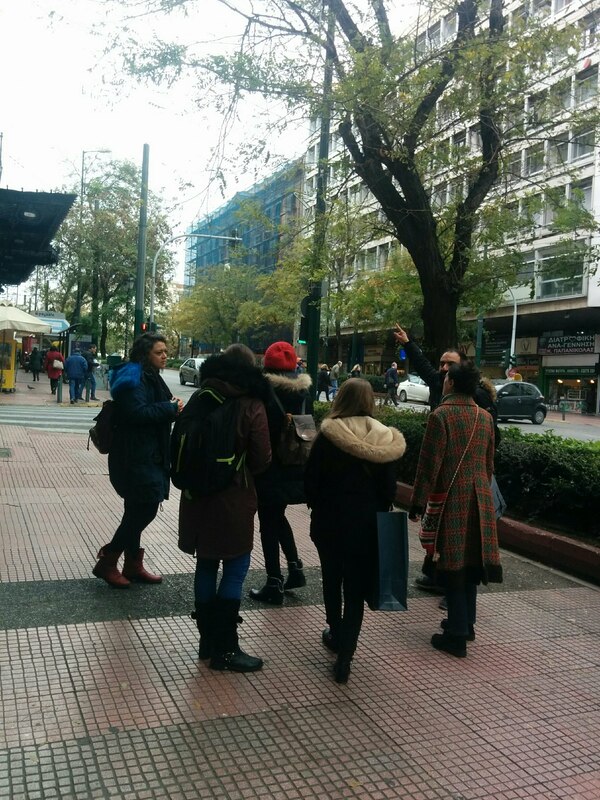 Our food tour started on a festive December morning at the buzzing central Athenian Omonia square. Here we met with the rest of the group and our tour guide Averkios, an official guide to the Greek Ministry of Culture. We were also met by Anna, the founder of Athens Food on Foot. 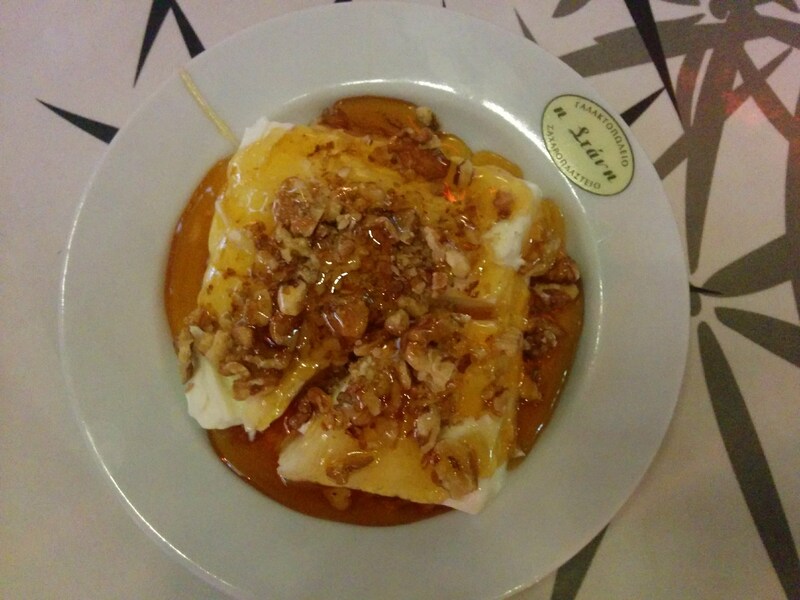 Anna was born in Thessaloniki, a culinary paradise. She spent her childhood close to her grandfather who taught her to appreciate fish and sea treasures and who produced wine and tsipouro as well as olives, olive oil, almonds, and grapes. 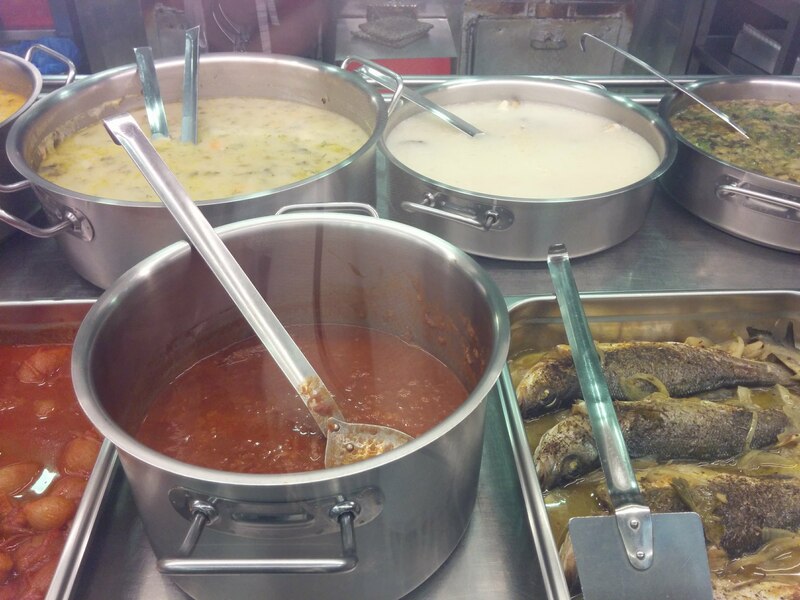 Anna’s grandmother is from Pontos known for its Eastern cuisine. Always in search of authentic food in every place that she visits herself, Anna decided to set up her company Athens Food on Foot. This passion of mine has led me to discover the best places in Athens for someone who really wants to taste original, quality greek food, and meet expert food guides in the process. 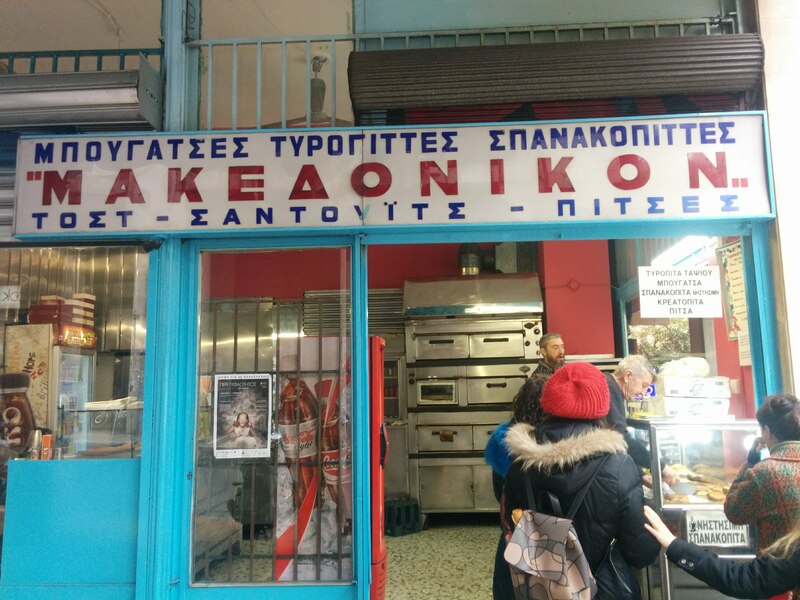 Our food tour adventure started with breakfast at one of the oldest traditional pastry shops in Athens. 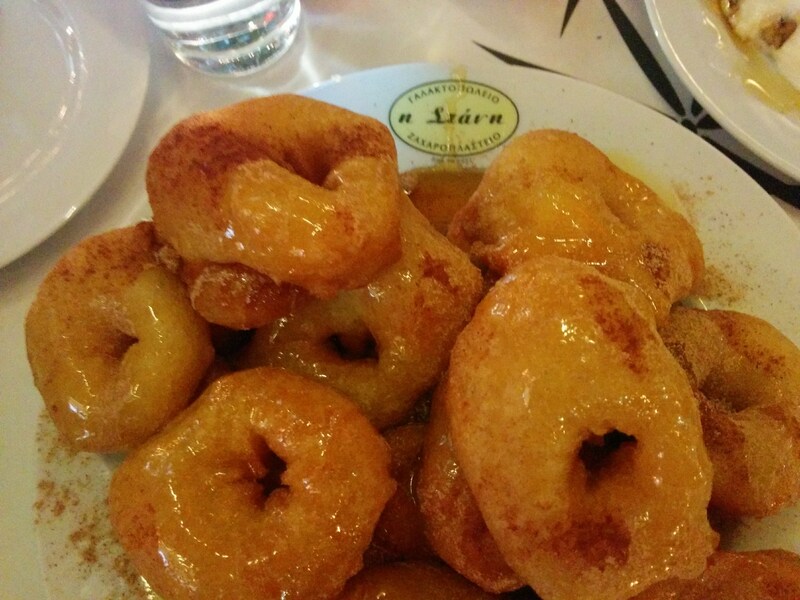 Here we tried ‘loukoumades’, traditionally fried Greek donuts with honey and cinnamon and yogurt with honey and walnuts. Our guide told us about the history of these traditional pastry shops, their products, and their, clientele. It was great to be able to sit outside on the terrace even in December. 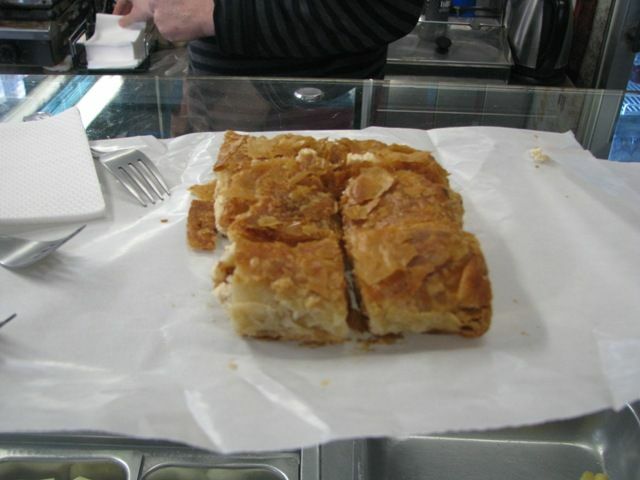 Walking through beautiful old Athenian neoclassical buildings, our food tour stopped for ‘Bougatsa’. 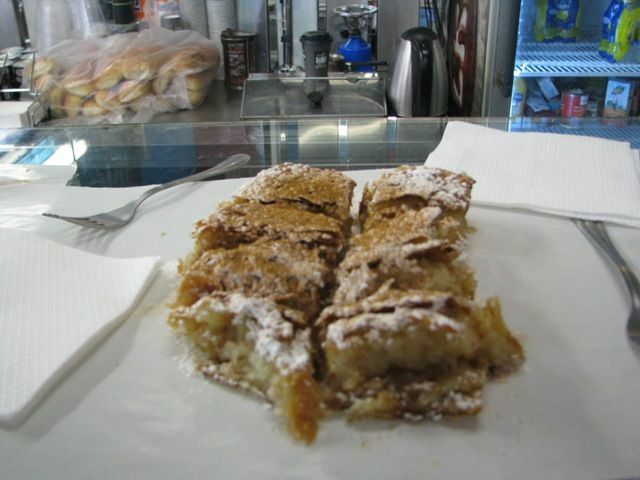 Bougatsa is a Greek breakfast pastry consisting of either semolina custard, cheese, or minced meat filling between layers of phyllo. We also tried Greek cheese pie. 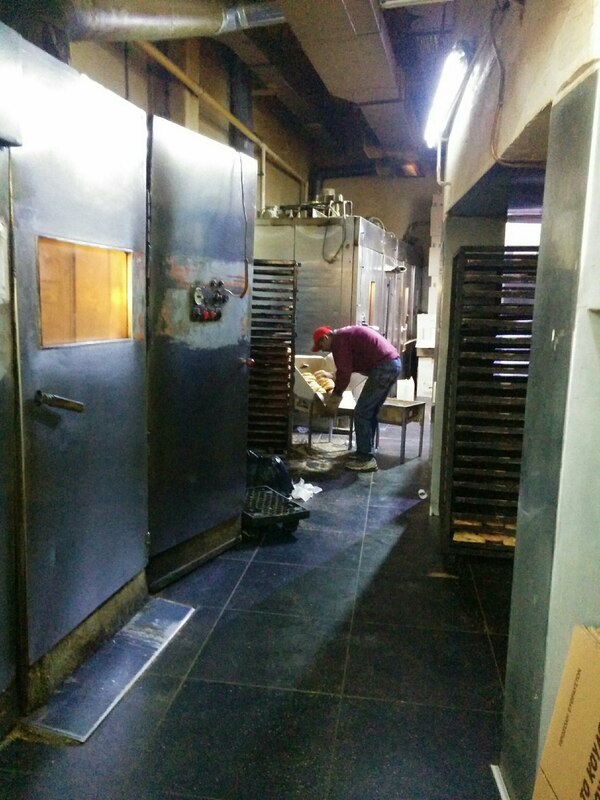 It was interesting to see how the bougatsa and cheese pies were baked in the ovens and great to try them fresh and warm! 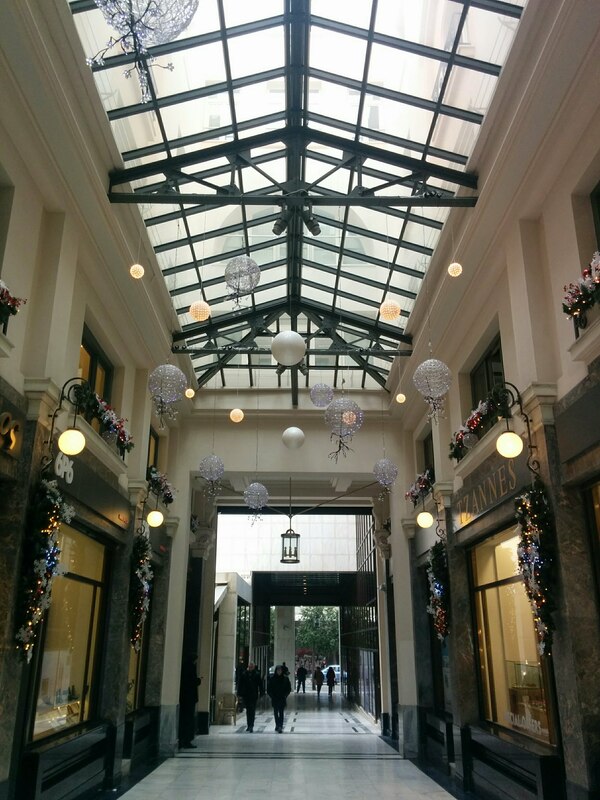 We then headed towards the decorated Stoa Nikoloudi, a covered walkway which connects the famous Panepistimiou and Stadiou streets. I had no idea that the beautiful buildings on these avenues once were residences of wealthy Athenians. 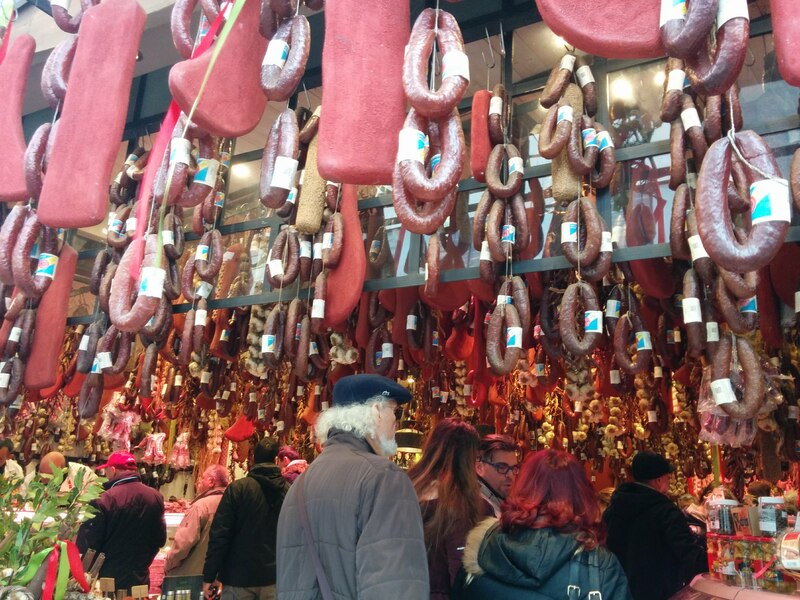 Our guide had such detailed knowledge of the city, I learned many new things during our food tour even though I have lived in Athens for more than 20 years. Inside the walkway is a unique sweet shop selling high-quality handmade chocolates and ice cream. 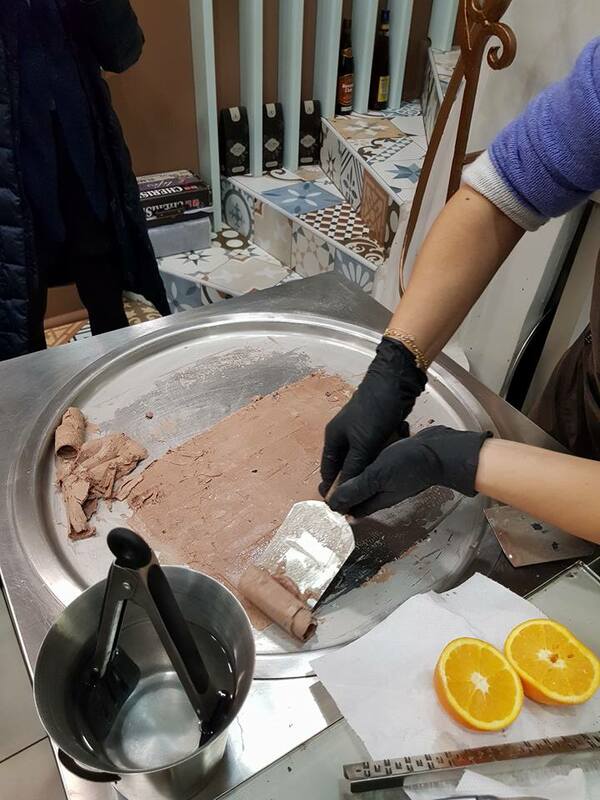 In fact, the ice cream is prepared on the spot. We watched this interesting process and were able to choose our own ice cream ingredients. 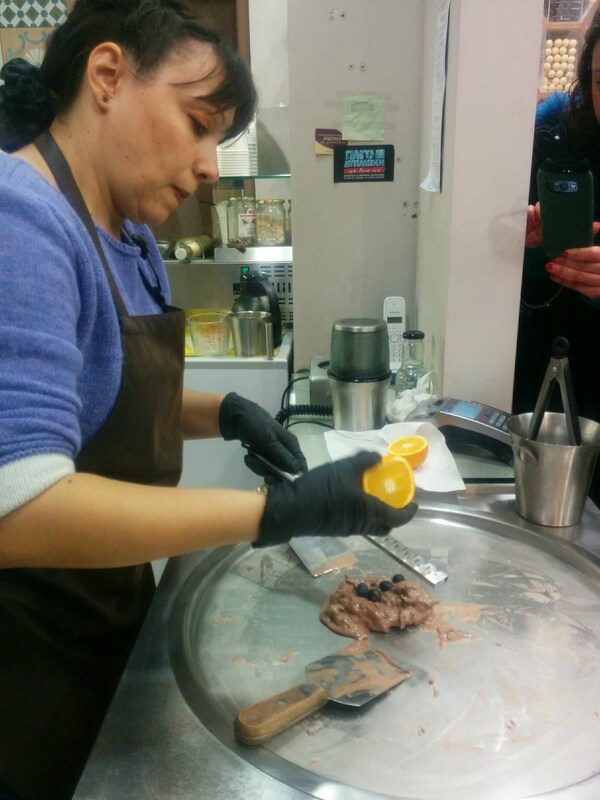 Goat milk is the base for the ice cream and we choose to add pure chocolate, fresh berries, and orange zest. I would love to take my kids back to this place and show them how the milk turns into ice cream on a cold plate. 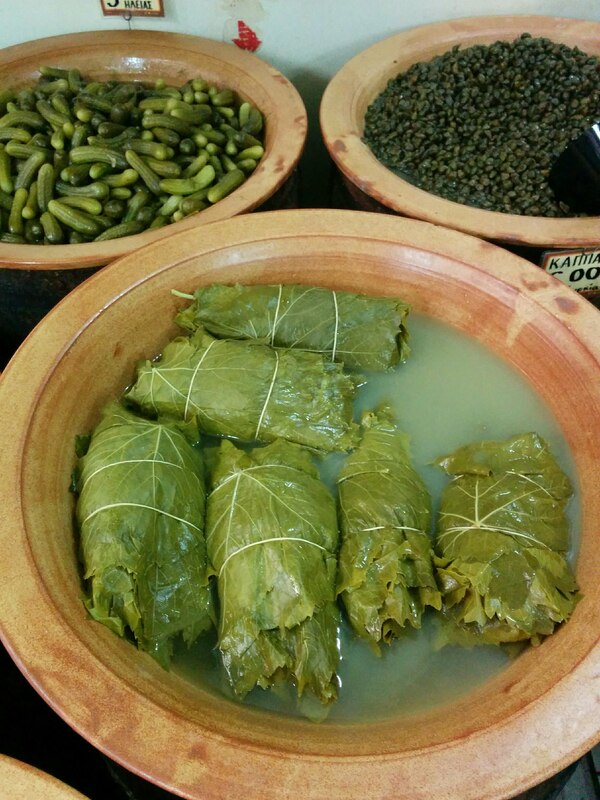 A food tour in Greece is not complete without the products and cuisine of the culinary paradise of Crete island. We stopped in a traditional Cretan shop where we enjoyed unique Cretan delicacies as well as the world famous Cretan hospitality. 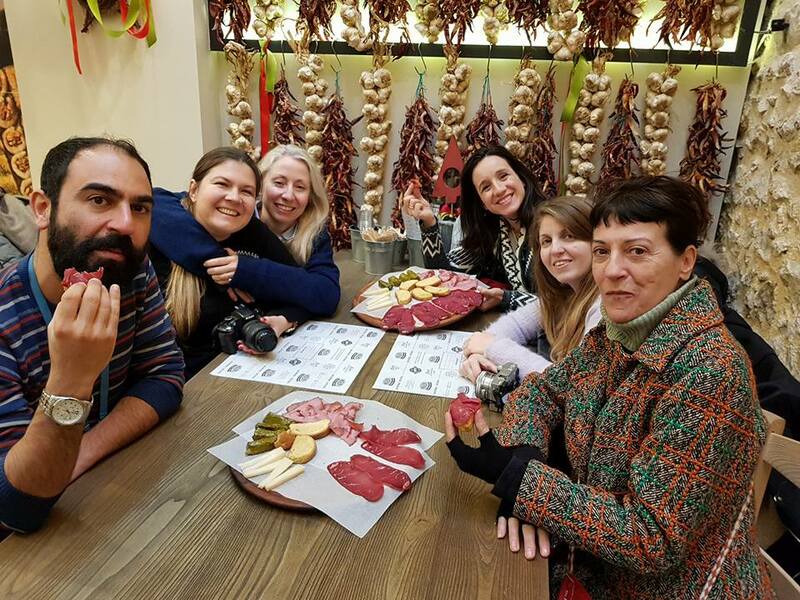 We tried several kinds of cheese such as graviera, feta, and ‘anthotyro’, we tasted several different kinds of olives and extra virgin olive oil, several kinds of rusk and of course, we drank the strong Cretan alcoholic spirit ‘raki’. Our guide and Cretan host complemented our tasting with lots information about the products and together we toasted on our health. Greek hospitality at its best! With new friends and bloggers from Travel Passionate, Passion for Greece and Anthomeli. It was time for coffee. We ventured out to the famous Athinais Street for a Greek coffee in a ‘Kafeneion’ or Greek café. 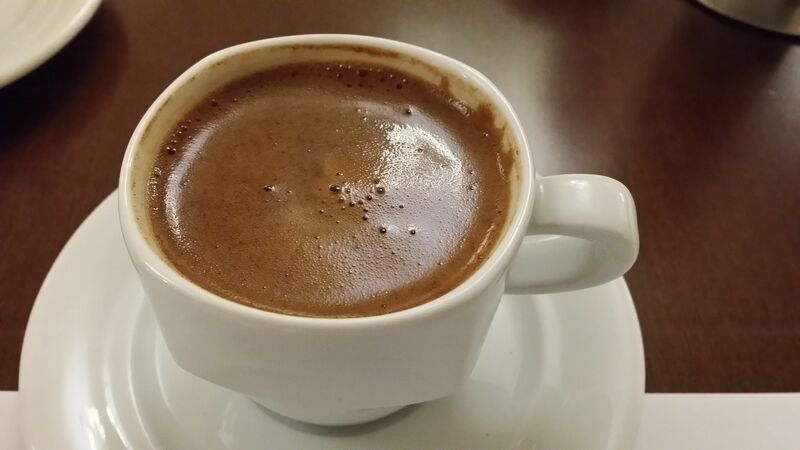 A kafenio typically serves various types of Greek coffee. We followed a traditional Greek coffee ritual here where the coffee is cooked in a copper ‘briki’, which is a long-handled coffee pot. The coffee is boiled on a tray filled with sand placed on a burner or hot coals to heat the sand. This was not a tourist trap, this was an authentic Greek Kafeneion full of older Greek men waiting for their Greek coffee served in the traditional way. 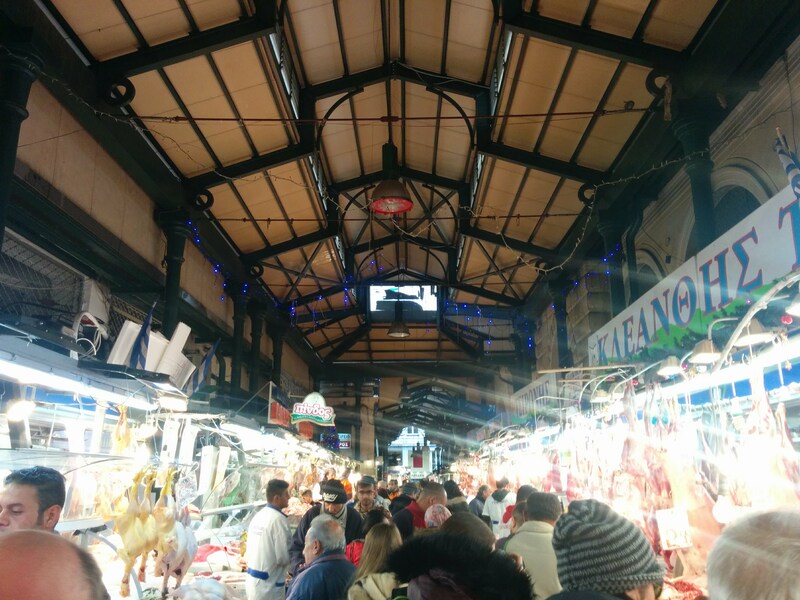 Our food tour took us then to one of my favorite places in traditional Athens: the largest and oldest central Athenian market called Varvakeios Market. 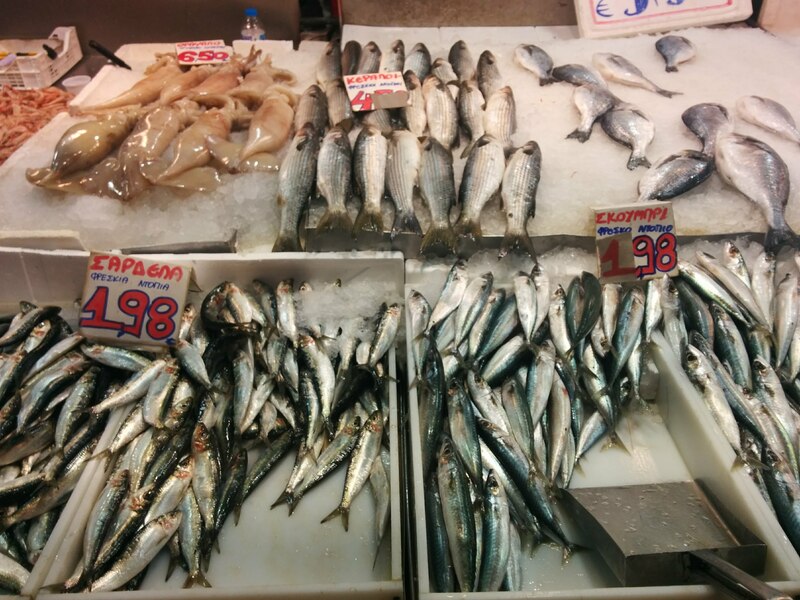 Here you can find fresh fish, fruits, vegetables, and meat. It is an overwhelming explosion of colors, scents, sounds, and tastes. Our guide took us through the fish and meat department and we sat down in one of the most traditional taverns inside the central market for lunch. Epirus Taverna is the only taverna preparing tripe soup or ‘patsatzidiko’ in the Varvakeios market. This was an authentic place for locals and a great experience during our food tour. I love these Greek taverns where you can actually see the food on display behind glass in the kitchen freshly prepared. We had three traditional home cooked lunch dishes at Ipirus; butter beans, beef stifado with boiled potatoes and soft meatballs cooked in tomato sauce. Our lunch here brought us back to the essence of Greek food and culture; a simple but great meal with old and new friends. After lunch, we headed to a different part of the town. Next on our itinerary was the old-turned -into-hip neighborhood of ‘Psiri’. 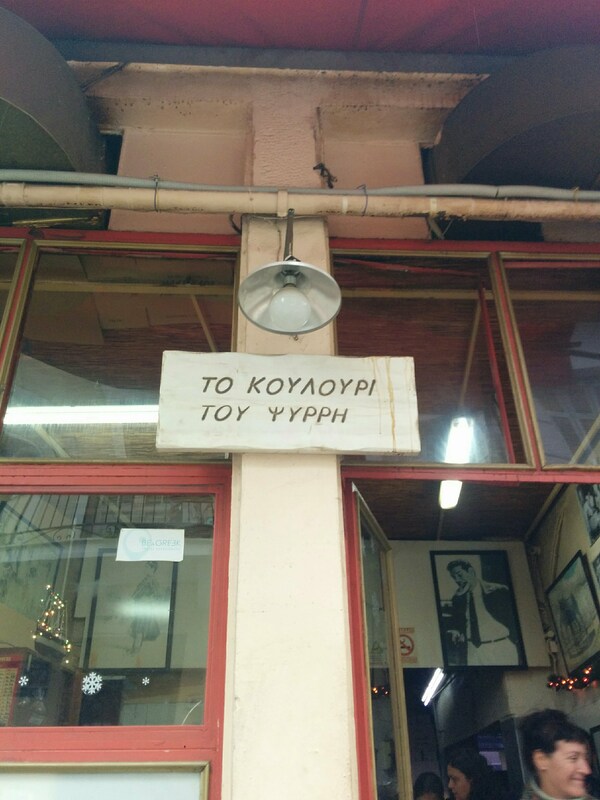 Here we went to one of the oldest ‘Koulouri’ bakeries in Athens called The Koulouri of Psiri. The ‘koulouri’ is a Greek breakfast snack bread ring covered with toasted sesame seeds. It is one of the most traditional Greek foods and still very popular today. 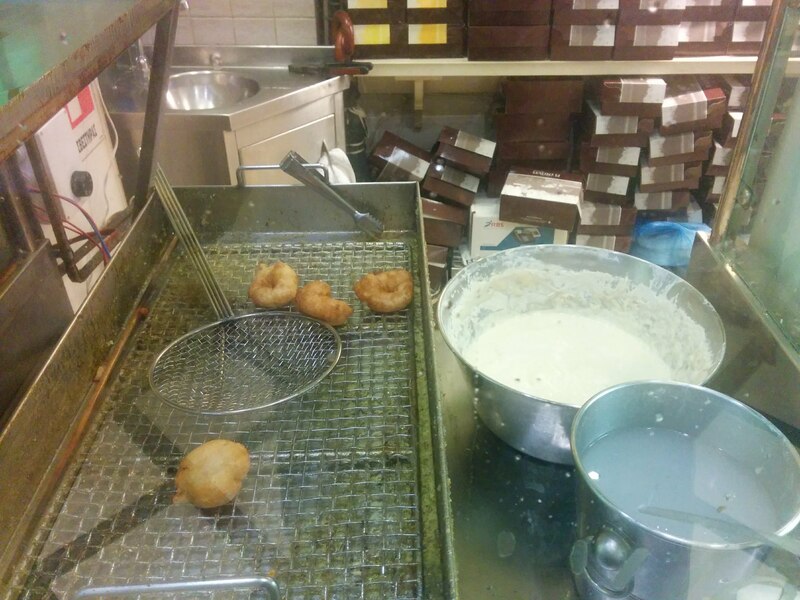 You can find koulouri vendors everywhere on the streets in Athens and in the metro and trains stations. Every bakery in Greece sells koulouri. I often buy them as a healthy snack for my children. It was fascinating to follow the baking process of this so familiar family food product. Next stop was the traditional Miran, a generation old meat workshop established in 1922. Miran is famous for its meat products, in particular, the ‘pastourma’. Pastourma is a highly seasoned, air-dried cured beef cut with a special production process. 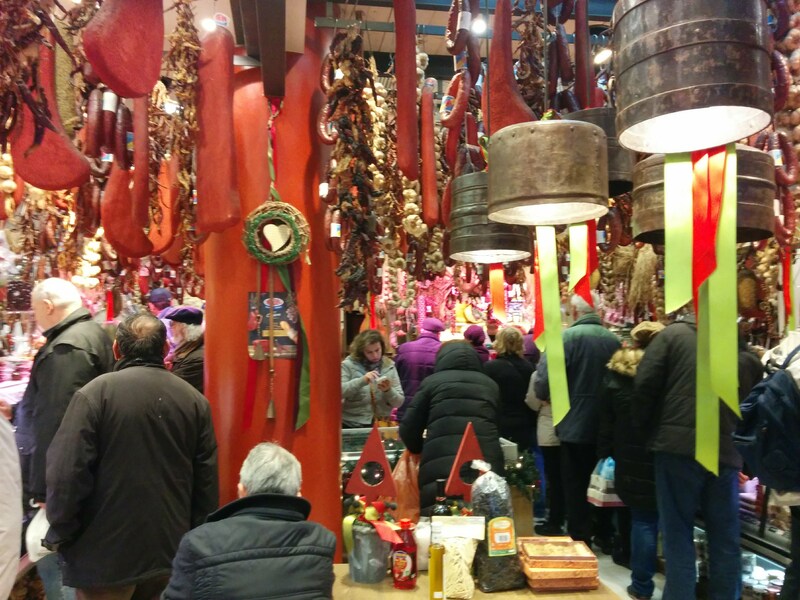 With sausages hanging down from the ceiling, cheeses, and spices everywhere, this place was a food paradise. The Miran shop was packed with people. 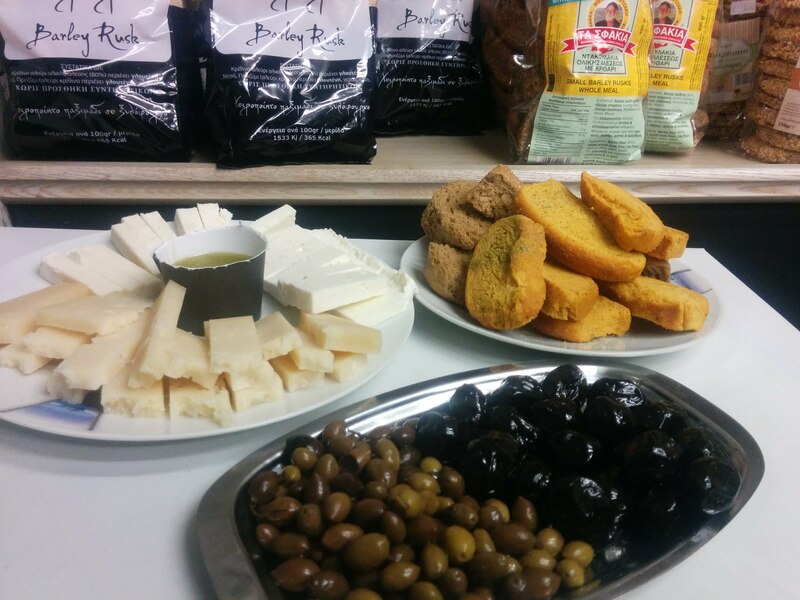 We sat down inside the tasting corner of the store and tried the pastourma, pastrami, dolma, goat cheese, and rusks. By now we were full of all the food that we tried but we had not yet finished the food tour. We ventured out to one of the oldest and most authentic districts in Athens. In the culinary back streets of my favorite city, we did not see any tourists or commercial places. 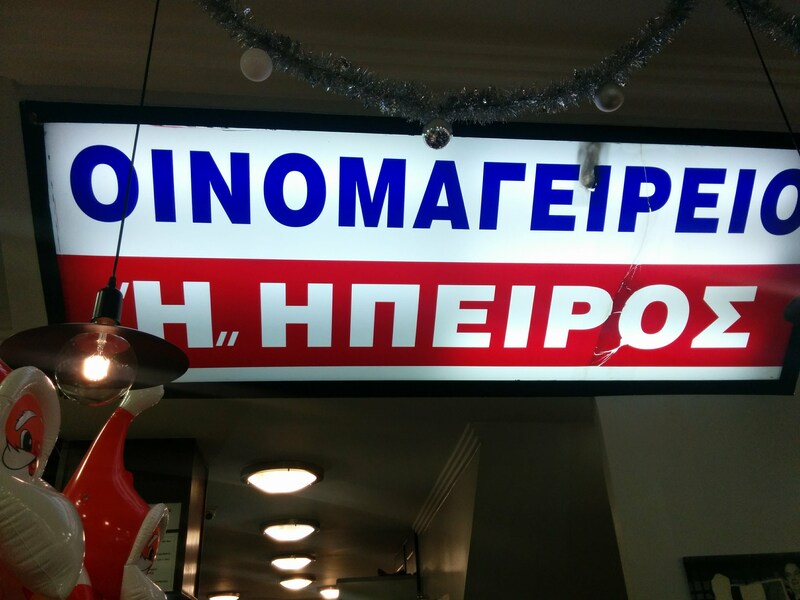 Only authentic small shops with real Greek products. 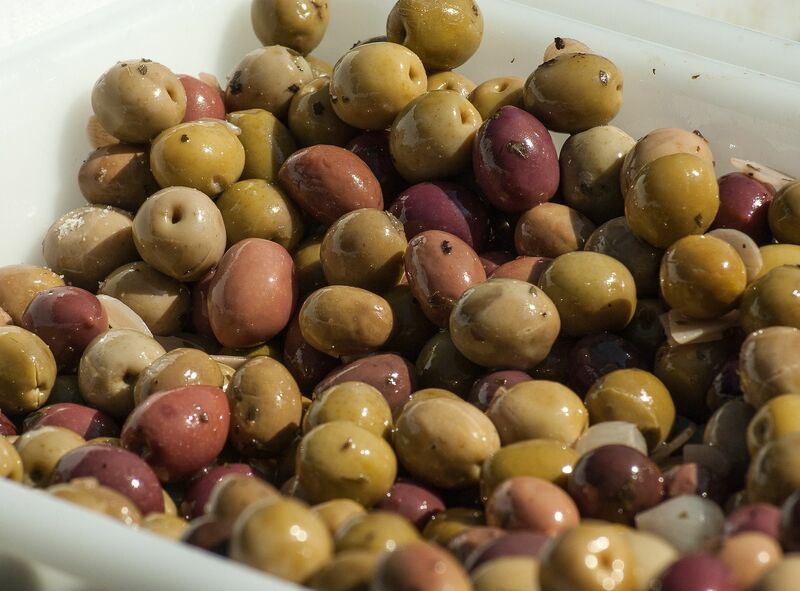 It was here that we had to try the most famous Greek product of all; the olive. 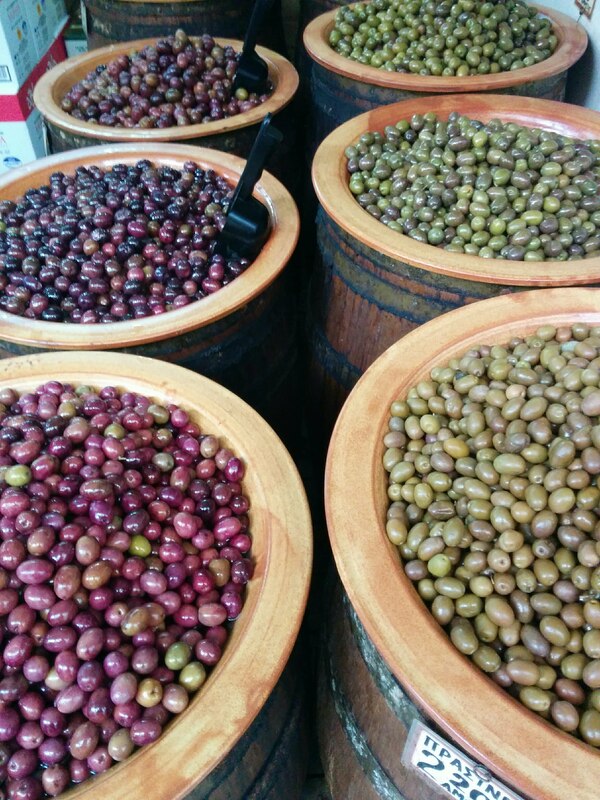 Here we learned all about the many varieties of the Greek olives and their characteristics. Our last sit down of the day was at a very authentic small shop for ‘tsipouro’ and mezze. It was the perfect place to end our food tour. 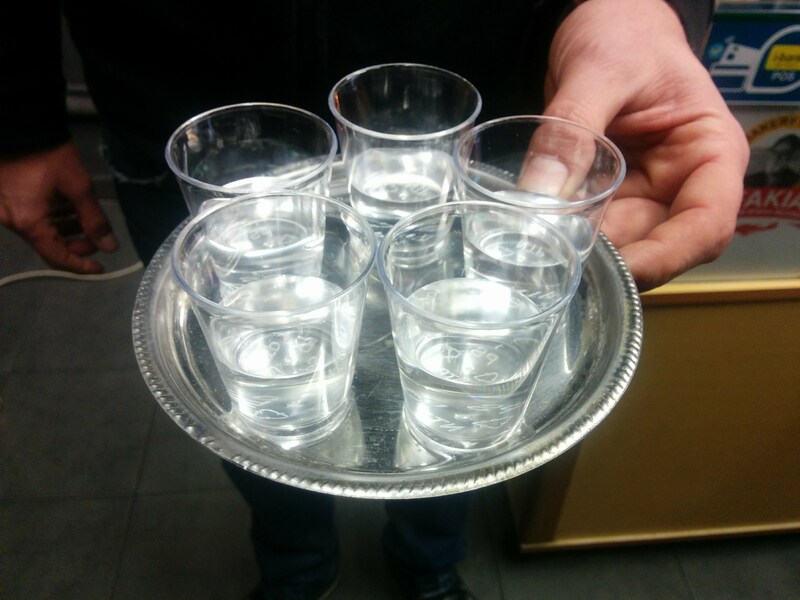 Tsipouro is a strong distilled spirit made from high-quality grapes. It is enjoyed in short glasses with or without ice with a group of friends or family while having mezze. 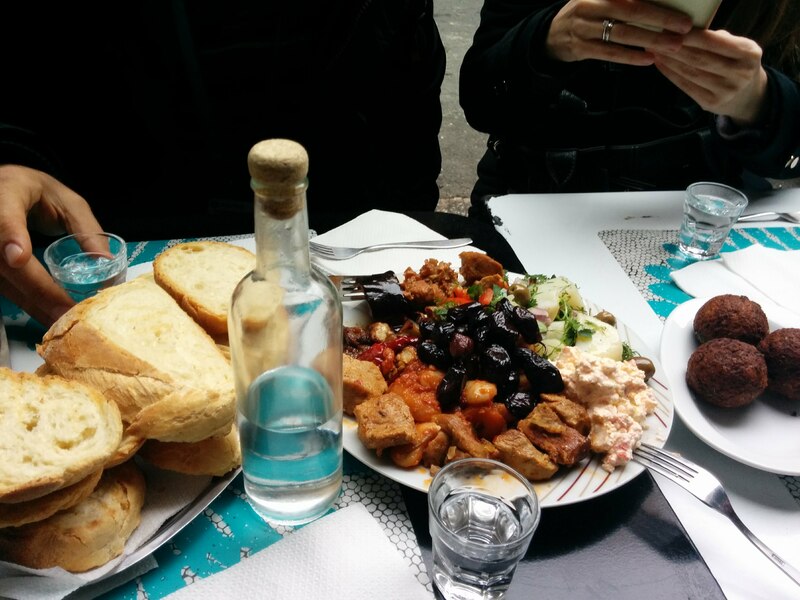 Mezze and tsipouro are an important social and cultural part of Greek life. This ritual is about friendships, happiness, and hospitality. Cheers! 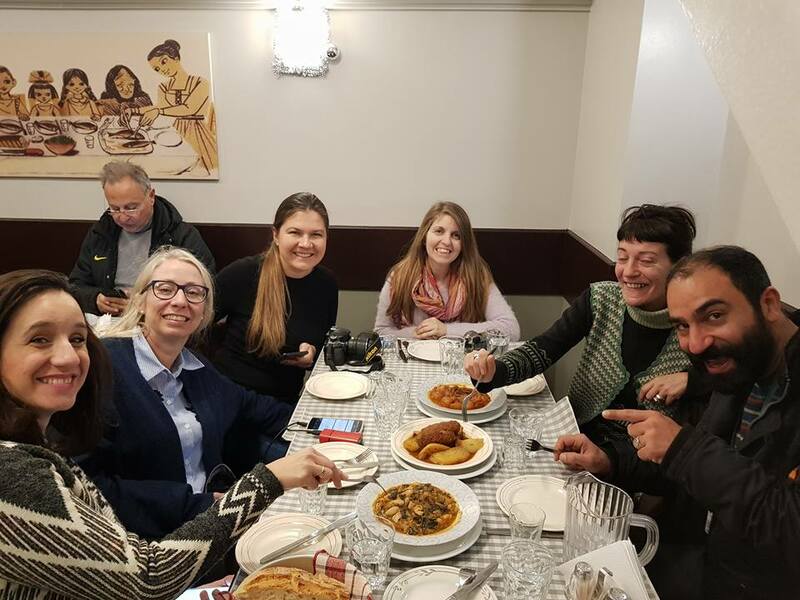 I would absolutely recommend the Athens Food on Foot Ultimate food tour. It was a true experience with lots of tastes, scents, and fun. Our guide was extremely knowledgeable. He took us from the Athenian high streets with its posh shops to the traditional markets and the alternative backroads for off the beaten path memories. Averkios was never without information, he knew everything about the history of Greek food and culture. Not only was he able to provide all the necessary historical or archeological data but he was able to plunge us into today’s Greek culture and life. 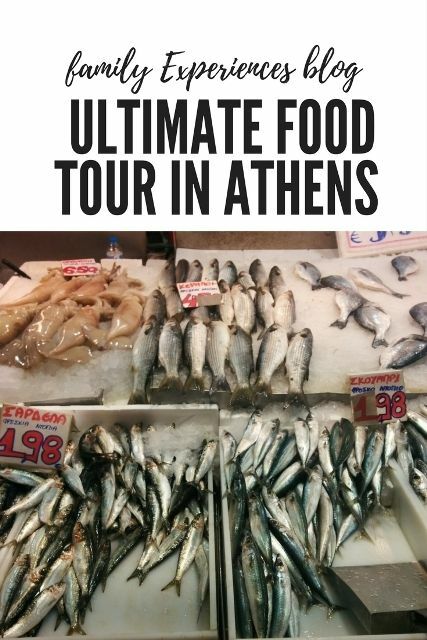 For direct reservations of the Athens Food on Food: The Ultimate Food Tasting Tour with Get Your Guide. I did not bring my children to this Athens Food on Foot Ultimate Food Tour. But I do believe that this tour – in length and in stops – is suitable for children starting from 7 years old. 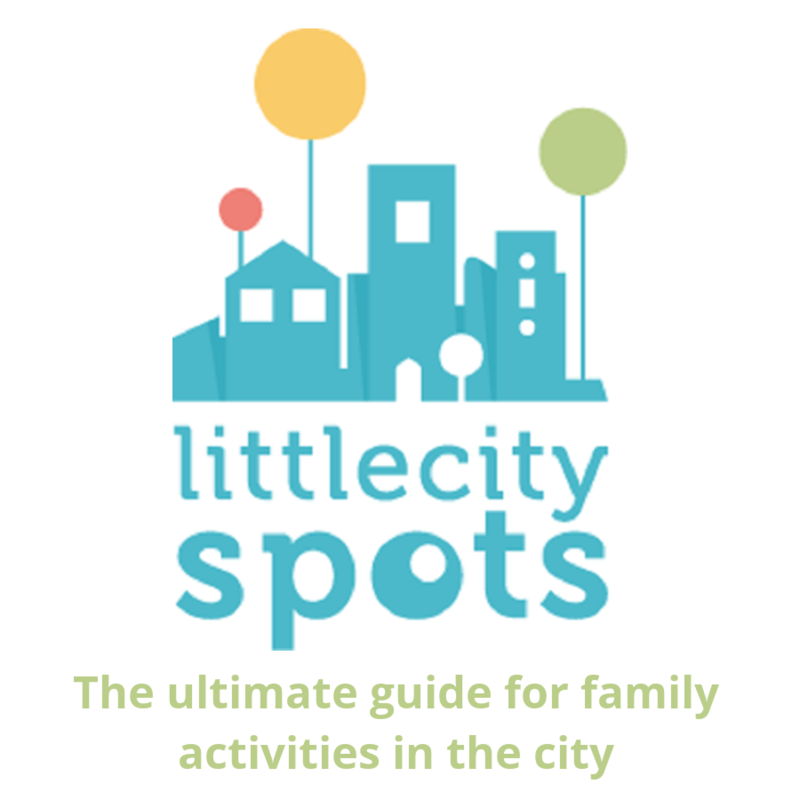 You can also choose a Family Food Tour. 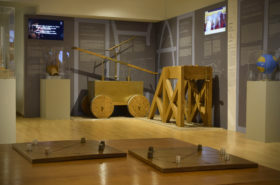 The tour is specially designed for kids. My post about the Kids Tour can be found here. 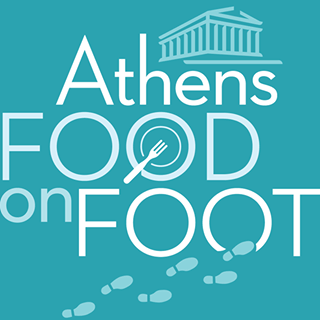 Disclaimer: As always, opinions and reflections in this article about Athens Food on Foot and the food tour are my own. This post contains an affiliate link. This means that should you click on certain links, and then subsequently purchase a product, I will receive a small commission. It costs nothing extra to you but helps keep my site running. Thank you for supporting me in this way. 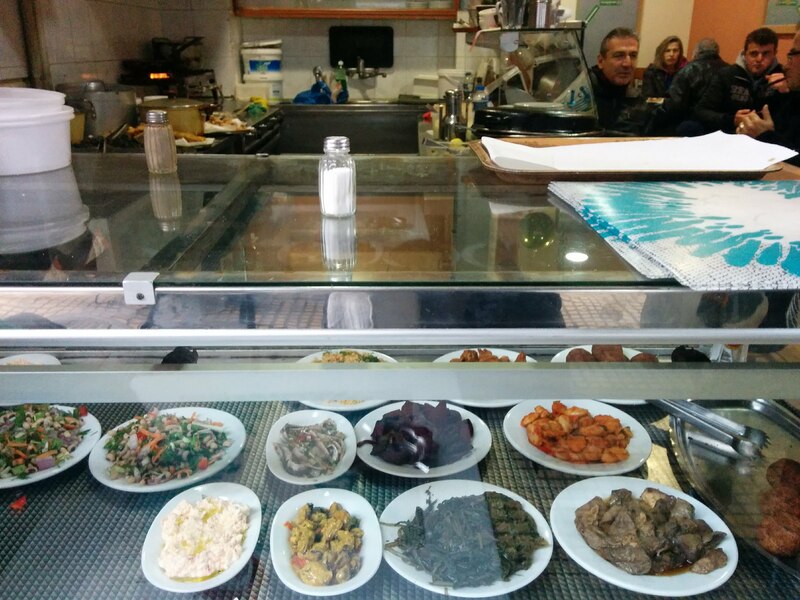 More food tour experiences in Athens can be found here.